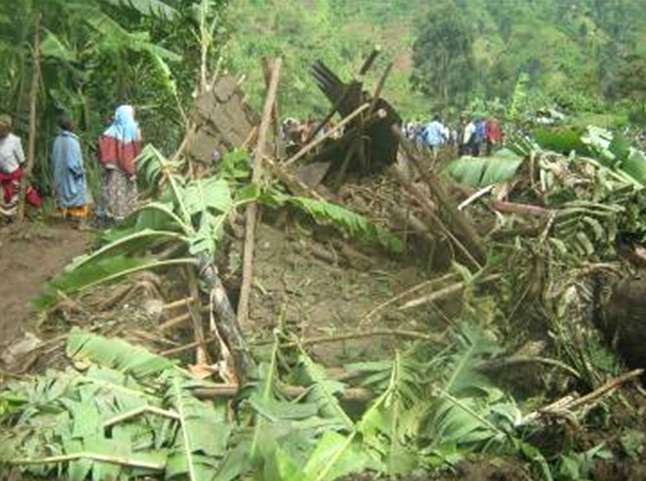 Bad weather and lack of on-the-ground data are restricting the relief response to the 1 March landslide that is believed to have killed hundreds of people in eastern Uganda. The areas are inaccessible, and the use of rudimentary tools is slowing down the rescue operation in Bududa, where 88 bodies have been recovered and an estimated 300 others are still missing. Kevin Nabutuwa, the Uganda Red Cross Programme officer for disaster management in the region, told IRIN that President Yoweri Museveni flew to the affected areas by helicopter on 3 March and witnessed the burial of the victims before he ordered that nearby villages susceptible to a similar tragedy be evacuated. Up to 1,000 families (an estimated 6,000 people) will be moved to safer places. The difficult terrain in the region has restricted any use of mechanized digging. A team of UN and other relief agencies is on the ground to determine what type of response is needed. “We could not respond without data. So teams are now assessing the situation and by the end of the day, a more thorough relief operation will get under way,” Nabutuwa said. Burial ceremonies took place on 3 March as the military clawed through mud to find any survivors from the more than 300 people still missing after the massive landslides at the foot of Mount Elgon, which straddles the Uganda-Kenyan border where heavy rains are still falling. Reports from the region suggest there is widespread flooding that has affected several other areas and in some places schools have been forced to close. The Uganda Red Cross said the immediate needs were for non-food items, food, medicine and water purification equipment. Some relief is on the way to the area and according to the UN Children’s Agency, UNICEF, immediate priority is the provision of safe water, shelter and food while mitigating disease outbreaks among the displaced. “A mid- to longer-term challenge will be the return of populations to original villages, due to the extent of damage. The general expectation is for resettlement in safer areas,” noted Chulho Hyun, UNICEF chief of communication. The agency had dispatched two Interagency Emergency Health Kits – each containing basic drugs and equipment to treat wounds, eye infections, diarrhoea and other diseases, for use by healthcare workers with limited training. Each kit serves up to 1,000 people for three months or 10,000 for one month. The agency has also given the health ministry 400 Non-food Item Kits – each containing a blanket, tarpaulin, soap, cooking set and related emergency household items, including water purification/chlorination tablets and shovels.